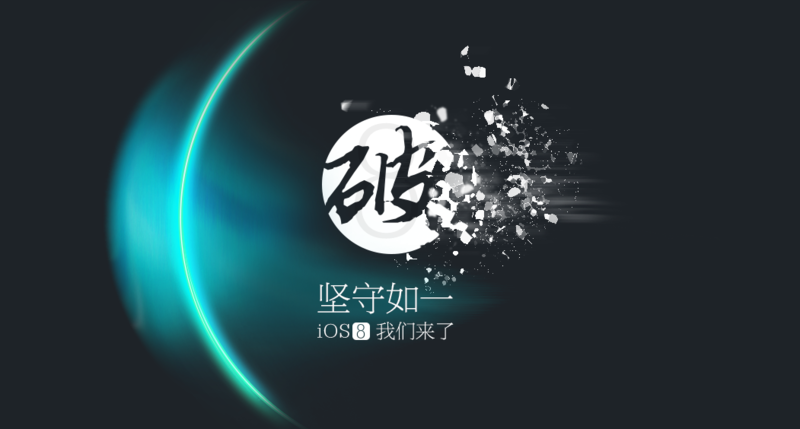 An untethered jailbreak of iOS 8.1.1 and iOS 8.2 beta firmwares has just been released by TaiG. It also works for iOS 8.0 and iOS 8.1. MuscleNerd confirmed the jailbreak over Twitter; however, he warns that you should probably wait a couple days before attempting. TaiG was part of the controversial iOS 7 jailbreak from the Evad3rs. The jaibreak included the TaiG 'app store' for cracked apps by default in China. Following an outcry from the community the evad3rs responded by updating their jailbreak tool to remove TaiG. Like every Sunday, I’ve come up with a list of most interesting stories of the last 7 days. Without wasting time, let’s take a look at these posts. 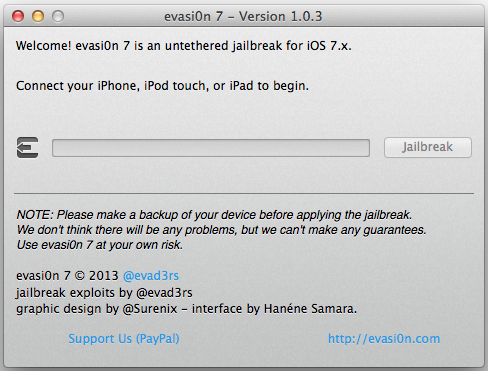 The evad3rs on Friday released an updated evasi0n7 jailbreak utility. It is still impossible to jailbreak iPhone 5, 5c and 5s running iOS 7.1, however, evasi0n7 1.0.8 brings support for iOS 7.0 build 11A466. It is Sunday today, so looks like it’s time to take a look at this week’s most popular posts. Are you ready? If so, let’s begin. The story that became the top read this week deals with the next-gen iPhone launch. According to the latest rumors, Apple may unveil its new handset as soon as in July; not in September as was reported earlier. According to the recent reports, the evad3rs have released an update for their jailbreak utility. The hackers have fixed the problem with bundled package lists that “could not be updated by Cydia”. The update has brought the evasi0n7 tool to version 1.0.7. It is Sunday today, so looks like it’s time for me to take a brief look at the most interesting stories of the last week. As many of you know, Apple is expected to officially release a new OS X Mavericks 10.9.2 very soon, that’s why the guys from Cupertino seeded another beta to developers for testing. Apart from that, Apple released iOS 7.0.6 and Evad3rs came up with new Evasi0n7. The evad3rs have released new Evasi0n7 1.0.6. The updated jailbreak tool version allows to hack the devices running latest iOS 7.0.6. Looks like you don’t have to wait or search for alternative patches as I recommended yesterday. 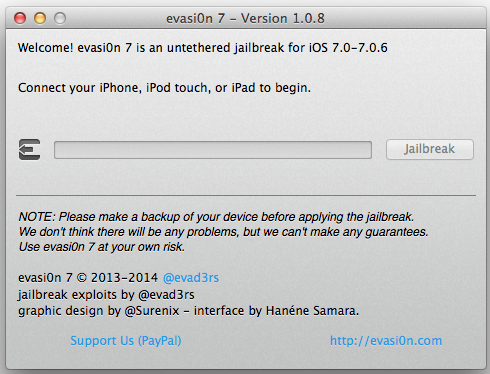 All you need to do is to upgrade to iOS 7.0.6 and then run the Evasi0n7 tool. The week has nearly come to an end, so looks like I have to tell you about top stories of the past seven days. This time they deal mostly with Apple’s new gadgets and firmware. 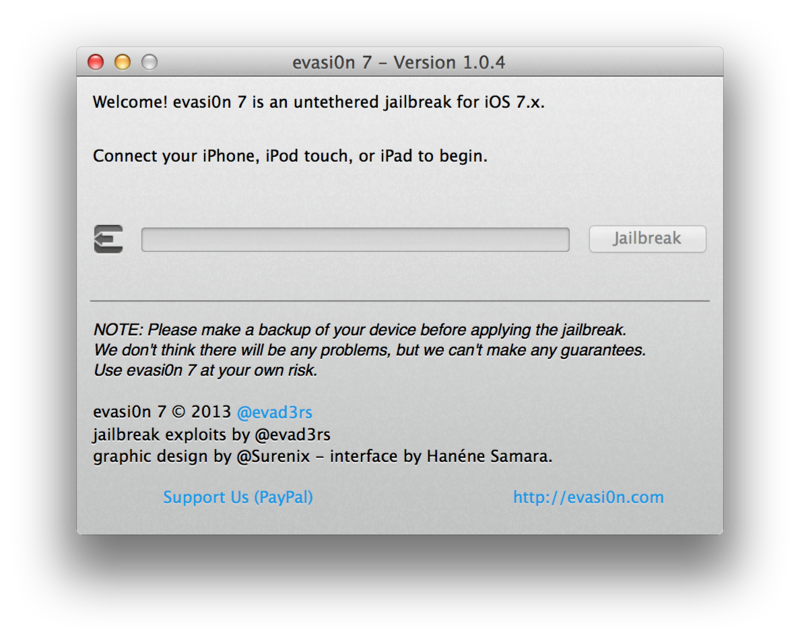 The evad3rs have released an updated evasi0n 7.0.5 that brings the ability to jailbreak iOS 7.0.5. 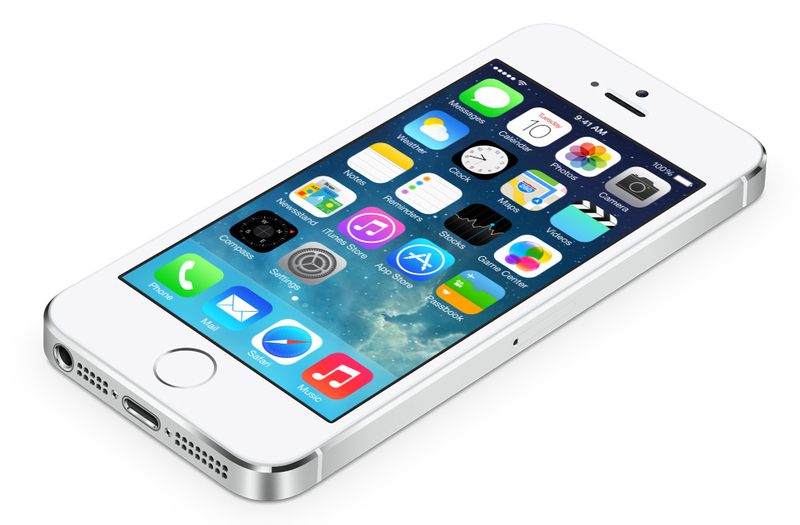 The iOS 7.0.5 was released earlier this week for the some iPhone 5s and iPhone 5c models (the GSM + CDMA editions). Hi there! evasi0n 1.0.5 with support for iOS 7.0.5 is up on http://evasi0n.com . Looks like Apple has found a way to prevent people from jailbreaking their iOS devices. According to iH8sn0w, iOS 7.1 beta 5, released on Tuesday, patches two exploits used to jailbreak Apple’s smartphones and tablets. Keep in mind that the fourth beta patched another vulnerability used by evasi0n7. It appears that beginning from iOS 7.1, it would be impossible to hack your iPhone, iPad or iPod touch. And that is definitely not good. meaning… Don’t expect an evasi0n7 update for 7.1b4+ support. The evad3rs have just released a new version of their jailbreak tool - evasi0n7 1.0.4, which is expected to bring numerous security improvements to the iOS 7 jailbreak. Evad3rs have released a new version of their jailbreak tool. Evasi0n7 1.0.3 is compatible with computers running both OS X and Windows; it also contains a number of important fixes and improvements.